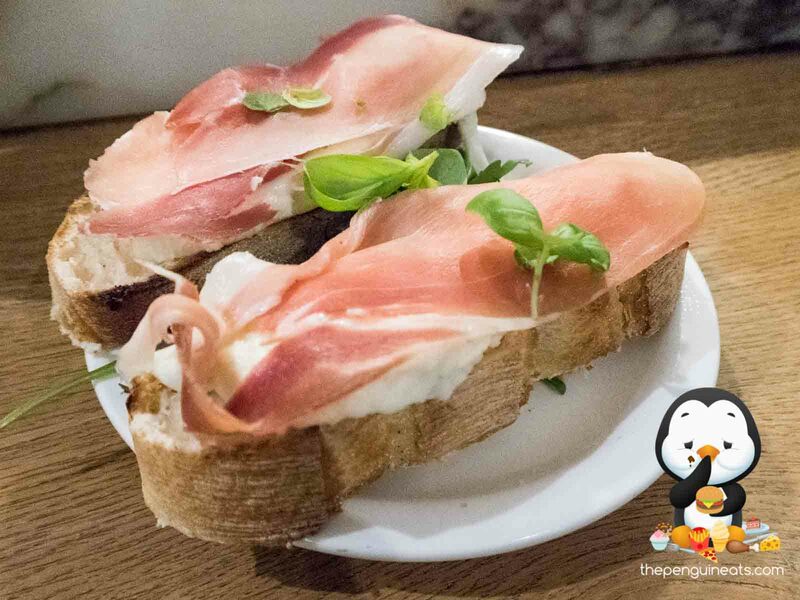 The Prosciutto Bruschetta was the perfect appetiser; there was a generous amount of creamy bocconcini to balance the slight saltiness of the prosciutto. The bread was also exceptionally fresh, with a crusty outer and fluffy inner. There were also bottles of olive oil and balsamic vinegar available to drizzle over to our liking. The Tomato Soup was absolutely delicious; it was tangy, yet creamy and sweet. The only downfall was that we were only able to sample a few spoonfuls! The Pizza Vesuvio had a beautiful thin crust and was rather tasty; the tomato based pizza was topped with beef, capsicum, onion with yoghurt sauce drizzled over. However, the beef was a little dry. 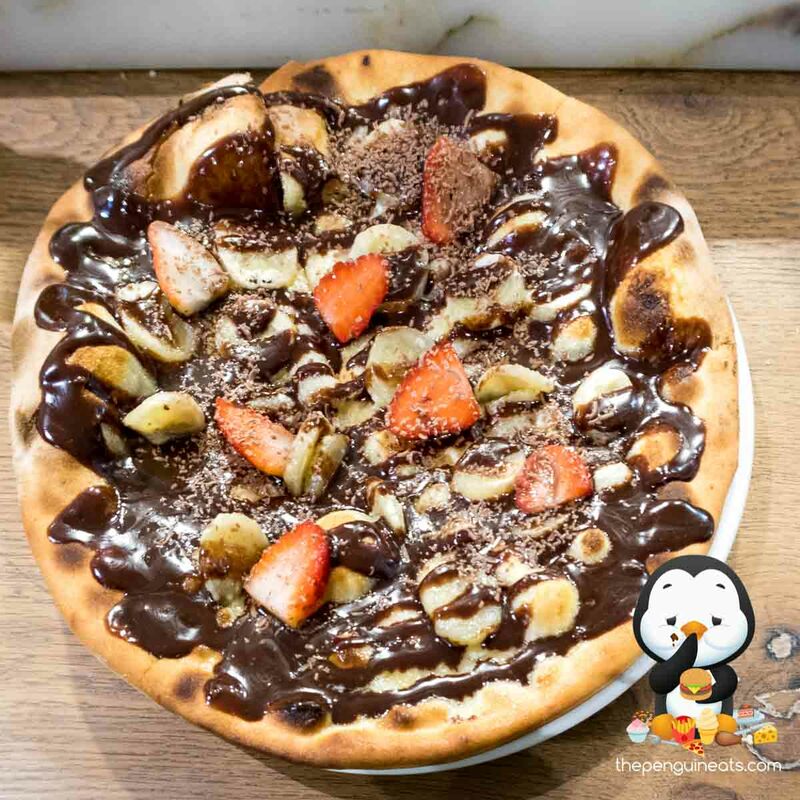 The Nutella Pizza was a delightful treat to end the night. It was fairly large and came cut into six pieces. Covered in generous amounts of Nutella, we could only manage a piece each. The banana and strawberries certainly cut through the richness. 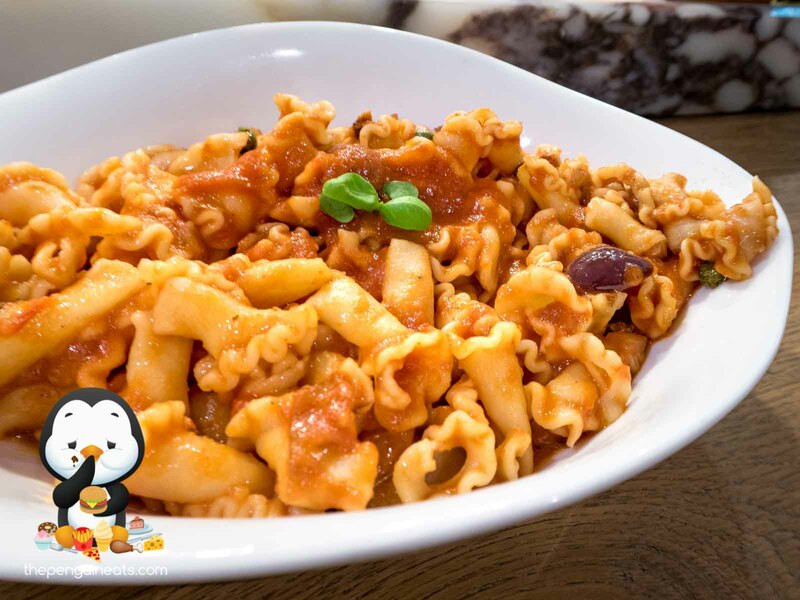 The Puttanesca Pasta consisted of a fresh house-made pasta with tomato, anchovies, olives and capers and while it sounded good on paper, unfortunately it was lacking in flavour. It would have benefited from some more ingredients as it tasted rather plain. Hailing from Europe, Vapiano is a popular food chain which has established itself in Australia with restaurants in Queensland, Sydney and Melbourne. 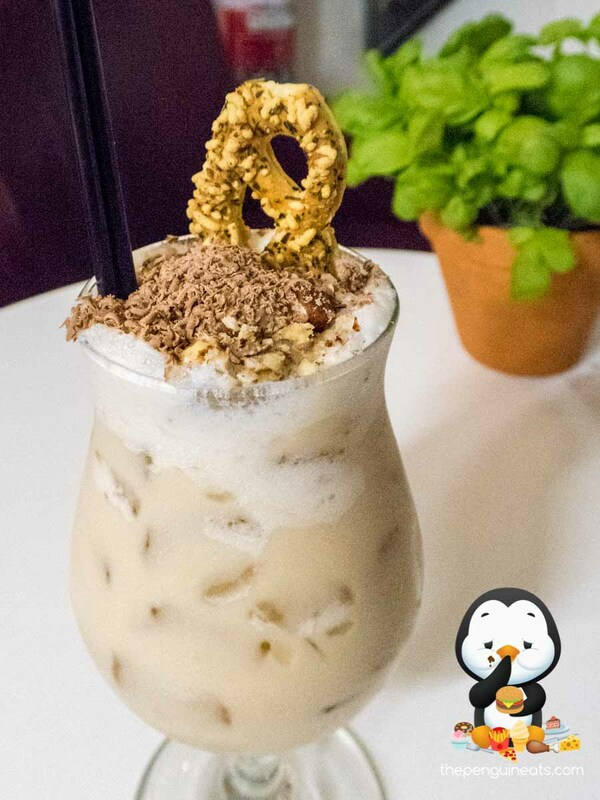 The atmosphere was also very warm and relaxed, perfect for catching up with friends for a glass of vino at the bar and grabbing a made to order pizza or pasta. Vapiano’s new Winter menu was certainly a tasty Italian spread and we look forward to trying other items on their menu! 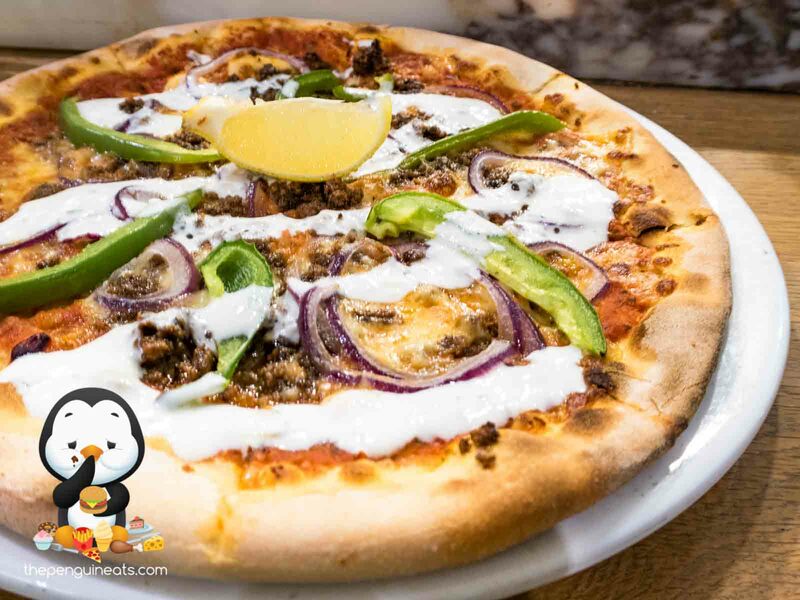 Most definitely, the concept of being able to select the ingredients of your choice at the pizza, pasta or salad station is certainly appealing and a rare concept in Melbourne. At least this way, there are no surprises and you know you’ll enjoy the meal you select! Penguin Eats would like to thank Vapiano for inviting us to sample their new Winter menu.